Saints Win 31 to 28 over the Vikings….. The Dog would like note….this is his call for this weekend……. The Colts over the Jets…….. The Saints over the Vikings……. The Dog aced tthe calls!………. Merlin with another Quickie…..on the race in Arkansas….. Things are really heating up in Arkansas. Judging from a New York Times piece…..Rep. John Boozman (R-AR 3) seems ready to challenge Arkansas Senator Blanche Lincoln. Representative John Boozman, Republican of Arkansas, said the results in Massachusetts had pushed him toward challenging Senator Blanche Lincoln of Arkansas, a vulnerable Democrat. “If the people of Massachusetts are upset, you can imagine how the people of Arkansas feel,” Mr. Boozman said in a telephone interview Sunday night. Merlin Quick in…..a Arkansas House seat becoming open…..
An evening post for you…..
More bad News for the Democrats in Arkansas….. Rep. Marion Berry (D-AR 1) to announce Retirement tomorrow. This will make the second Open Congressional Seat for Democrats in Arkansas to defend. The out stretched little arms….the smile…the look of…… ‘I made it!’…after all those days…will be with me, and those rescuers for a long time…..
And Bless that child, Kiki……. Note:….Ten minutes later the rescuers pulled another child out alive…..this one a female, who will make it also…..
Update:…I added the picture and brought the post up to the top of the site…. From Up 4 Discussion….have your ever been in the 'Third Wheel' situation? From JSin @ Up 4 Discussion……. Have you ever been the third wheel? Or been a part of a Third Wheel Situation? I know I have been and so have some of my friends. Now before I dive into my analysis of this situation I would like to paint you a picture. Imagine you are sitting at home relaxing and pretty much doing nothing. You have no plans for the night, but you’d really like to get out of the house. Before the thought can escape your mind your phone rings. You pick it up and it’s one of your close friends. Your friend would like to know if you want to go out, get something to eat and listen to some live music. You instantly think that your friend must be a mind reader. You tell them that you’d definitely like to go out. Prayers answered, right? Wrong! That’s when your friend tells you that they would like to bring someone with them…the person that they’ve been dating recently. Normally, you would decline on the offer, but you really want to get out of the house and you figure, what’s the worst that could happen. If only you knew! So, it’s you, your friend and the person your friend is dating. All three of you are sharing a table at the restaurant and enjoying the live music. Everything seems to be going well…until your friend gets up to go to the restroom. Now it’s just you and your friend’s date…alone…together. No problem, right? Wrong! All of a sudden your friend’s date has their eyes locked on you. The two of you begin talking and the conversation soon drifts into flirting. All of a sudden your friend returns. Bullet dodged, right? Wrong! A few days later you’re on Facebook, MySpace, Twitter (social network of your choice) and you have a friend request…from your friend’s date…did I forget to mention that your friend’s date is attractive…very attractive. So, of course you accept the friend request. Long story short, you start messaging back and forth with your friend’s date and find out that they are really, really feeling you…way more than they are feeling your friend. They explain to you that your friend and them haven’t made a commitment yet and that they would like to get to know YOU better. Now here you are, sitting at home contemplating whether you should take your friend’s date up on their offer…or if you should decline the offer. Interesting situation, huh? Well, that scenario is just an example of a possible Third Wheel Situation. Believe me, there are many more! From Up 4 Discussion….have your ever been in the ‘Third Wheel’ situation? Donna Brazille finds the good in the Scott Brown loss…. “John, we lost a very important seat, a very important vote,” Democratic strategist Donna Brazile told CNN Chief National Correspondent John King Sunday on CNN’s State of the Union. “Well, maybe we can find more under the tree,” Bill Bennett, the host of conservative talk show “Morning in America,” said in response to Brazile. “If that’s the gift, then we want to keep on giving,” the conservative commentator added. Pointing to polling of Massachusetts voters conducted just after Tuesday’s special election, Bennett said “dissatisfaction with the direction of the country, antipathy toward federal government activism, and opposition to the Democrats’ health care proposals drove the upset election” of Brown. “Brown stressed a lot his unhappiness with the way the [Obama] administration was conducting the war on terror,” Bennett also pointed out Sunday. “The people spoke. The people of blue-on-blue Massachusetts spoke and it could not have been clearer.” Bennet declared. Brazile disagreed with Bennett’s assertion that the Massachusetts upset was a repudiation of fundamental aspects of the agenda President Obama and congressional Democrats have pursued in the last year. “This is not a defeat that should cause Democrats to become demoralized or to begin to fail in their pledge to change the country. This is an opportunity,” Brazile said Sunday. 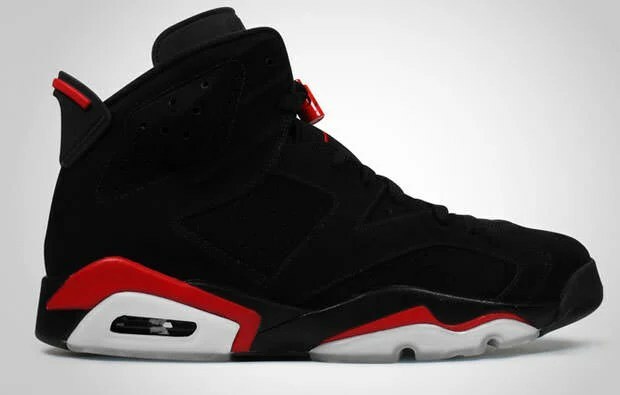 Nike Air Jordan 6 Retro Black/Red's are on sale……. This Saturday, January 23rd, 2010, Jordan Brand has unleashed its first true retro of 2010 in the form of theAir Jordan 6 Retro for $150. We showcased this particular sneaker in our 10 Sneakers We’re Looking Forward to in 2010, and many of you agreed. The Air Jordan 6 has a lot of rich history behind it to say the least. For example, Michael Jordan won his first championship against the Los Angeles Lakers in this shoe. Although the original version featured infrared accents instead of the regular red, this is still a nice pickup for $150. Well…. they’re out there and available…as far as we know…..so….go get’m! Nike Air Jordan 6 Retro Black/Red’s are on sale……. The moody and intense actor returns to the screen in several more action flicks soon.…..and that is a tribute to Movie Director Tony Scott …who seems to be able to get Washington to do any movie…even if he doesn’t really want to…..
Denzel Washington, whose “The Book of Eli” opens this weekend to what will likely be strong box office, has worked with Tony Scott on four previous movies and recently wrapped their fifth, a train thriller titled “Unstoppable” with newly minted Captain Kirk Chris Pine. 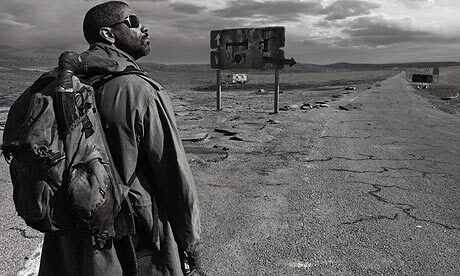 The title “Unstoppable” carries particular irony because the project was delayed several times by what insiders have said were diverse factors such as budget-related studio reluctance and star hesitation. And of course there is the money part……..
And the Fox Studio’s (AVATAR) part also…..